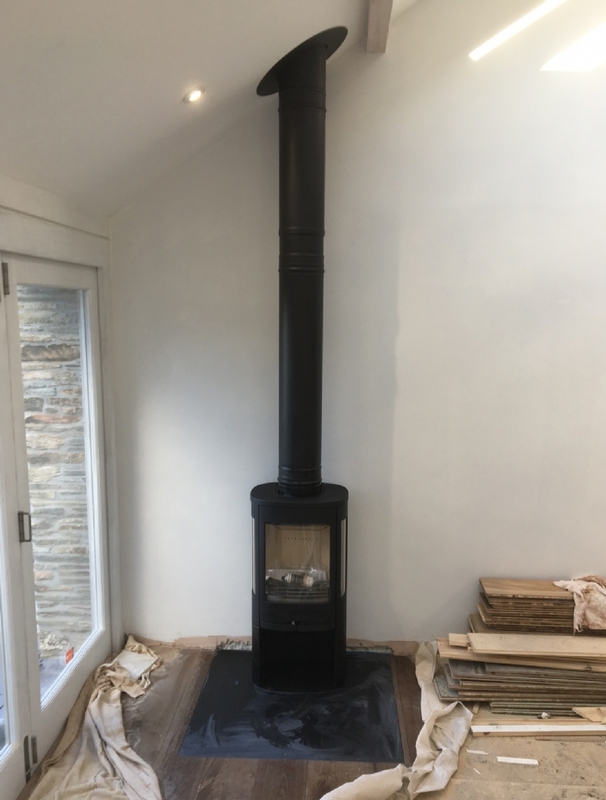 Contura 850 freestanding with vaulted ceiling wood burning stove installation from Kernow Fires. 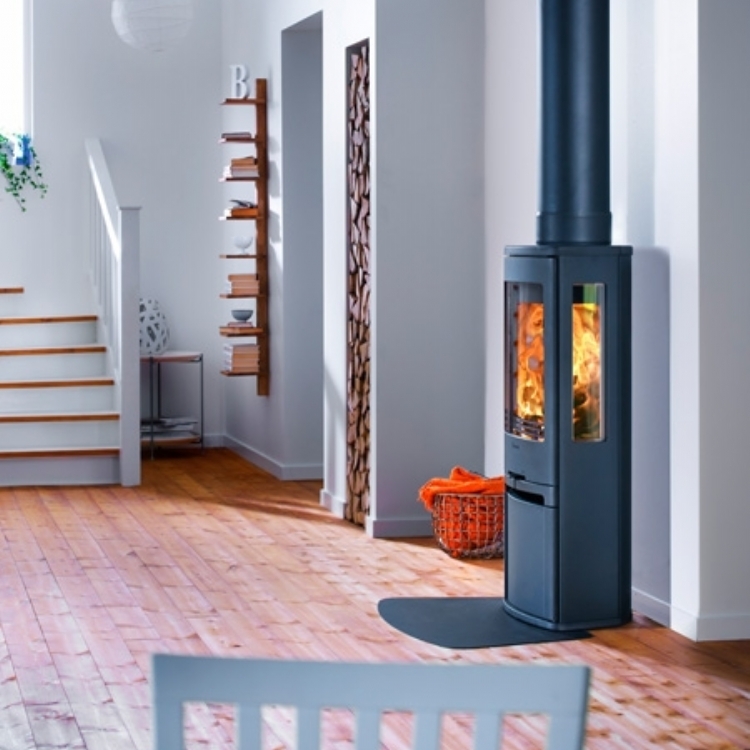 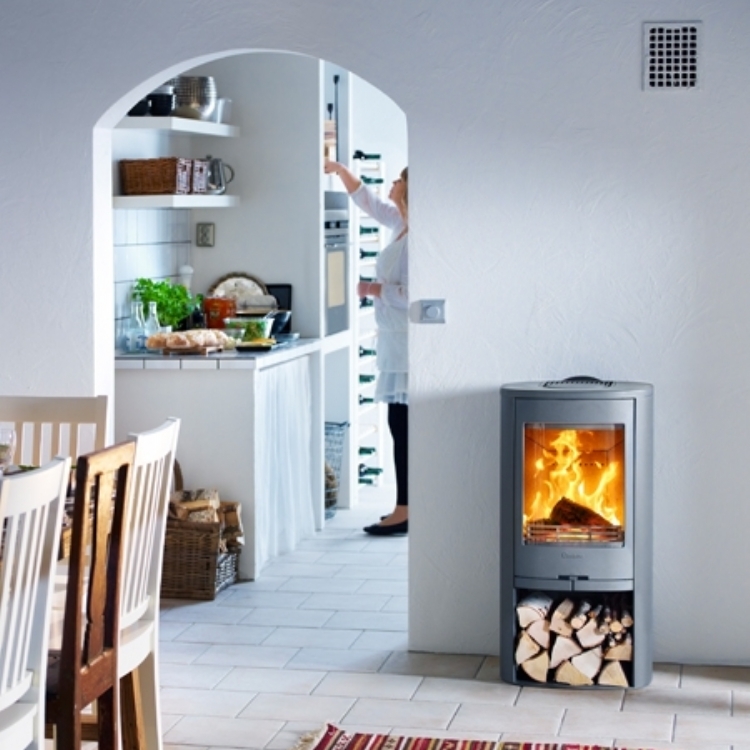 The Contura 850 is one of our most popular stoves thanks to its keen pricing and clean styling. 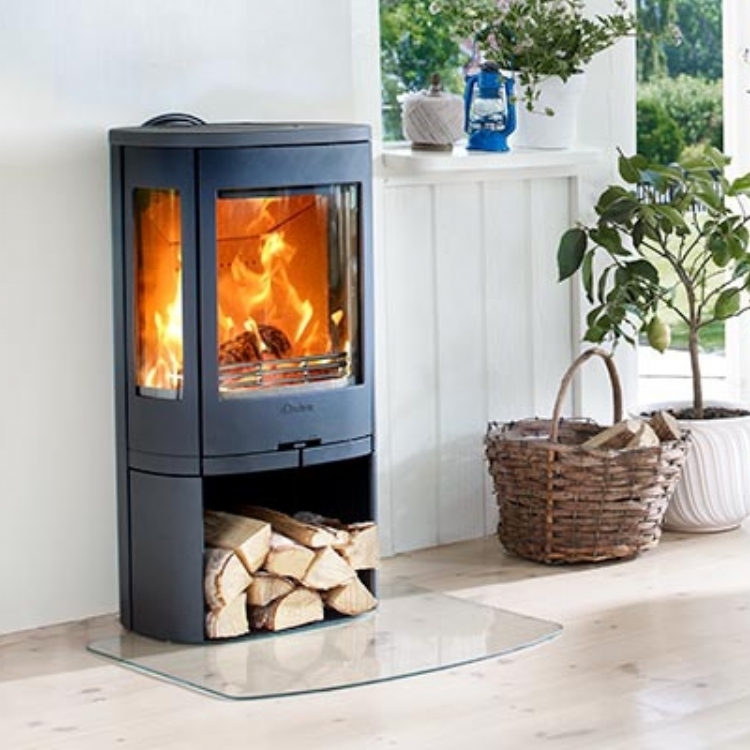 The 850 has side windows giving great views of the fire.